Hi, My name is Karla Cano, owner of Karla’s Pet Care, LLC. Ever since I can remember I have had pets. From cats and dogs, to rats, hamsters, mice, and parakeets, even pollywogs collected from the streams behind the baseball fields in Southern California while I waited for my brother to be done with his games. I have always loved animals! My mom thought for sure I would become ambassador of the San Diego Zoo. I went into the human medical field instead. In 2000 my family moved to Elk Grove. After working 12 years in the human medical field and watching a lot of animal planet, in 2001, I decided to enter the veterinary field. I attended Cosumnes Veterinary Technician program. While in school I heard of pet sitting companies. I had no idea they existed and researched about what was involved in owning one. In 2003 I launched my in-home professional pet sitting business, officially Karla’s Pet Care LLC in 2004 along with graduating my associates of science degree and the vet tech program. I then sat for the California state board and become a Registered Veterinary Technician (RVT) that same year (big year). I have enjoyed working at a few of the local vet hospitals in the area. As my pet sitting business grew the economy failed and I was laid off at my vet job. I looked for a new job for a while then realized I could be a professional pet sitter full time! I was so excited and so nervous. However, it had been so rewarding to help owners enjoy their time away without worry and stress about their pets welfare it made for an easy decision. Karla’s Pet Care, LLC started with just a few clients and has grown to 300+ clients in 2015! A big thank you to my family and friends who supported me through those years and to my amazing clients for entrusting their precious pets to my care. We have been honored to have had articles in the Elk Grove Citizen about Karla’s Pet Care, LLC and have been quoted for various types of pet care articles. It kinda goes without saying that I am an animal lover. I was born in Lodi, California and raised in Lake City, Florida. Throughout moving across the country, I was lucky enough to be able to experience all kinds of animals, nature and their habitats, and the little 6 year old Rachel was captivated. In my life I have owned (and researched) numerous kinds of animals, some of which include: birds, lizards, snakes, cats, dogs, rodents, fish and amphibians. I have always been fascinated by animals and their capabilities, but especially of the amount of love they have to give! I adore taking care of animals and not only making them feel loved while they are with me, but safe. In the past I have worked extremely well with even known aggressive dog breeds as I have been around large dogs since I was born, and I have the same amount of experience with small breeds. I take the responsibility for caring for people’s pets and homes very seriously, and honestly feel humbled to do the work that I do. For actual work experience involving pet care, I have volunteered throughout my life for various shelters- in Lake City FL, the ASPCA of Lodi CA, Micke Grove Zoo in Lodi CA as an exotics handler, and also a PALS partner and volunteer in Lodi, CA. I have been an animal welfare advocate and volunteer my entire adult life. 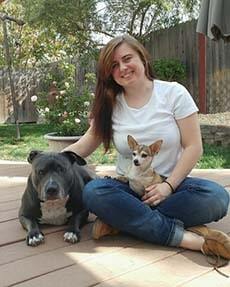 While living in the Bay Area, I was the Foster Home Coordinator (and a volunteer foster home) for Furry Friends Rescue (www.furryfriendsrescue.org), a non-profit organization that rescues animals on death row from shelters all over Northern California. I spent several years as a volunteer shelter worker for the City of Fremont Animal Services, where I also met the owner of The Animal Nanny pet-sitting service, who offered me my first pet-sitting job. I worked for The Animal Nanny until moving from the Bay Area in 2005 . During my tenure as a pet-sitter and shelter volunteer in Fremont, I also earned two dog training certifications from Marin Humane Society’s Consultant/Instructor Training Academy (CITA I and CITA II), and was trained in pet first aid and CPR. Since moving to the Sacramento area in 2006, I have been a volunteer for the Sacramento SPCA— serving as a foster home, a dog walker, a cat socializer, a small animal socializer, and a Love On Loan participant with my therapy dog, Rula. I am also a volunteer Puppy Raiser and Breeder Caretaker for Canine Companions for Independence (www.cci.org), a national non-profit organization that provides professionally trained service dogs, free of charge, to people who need them. I have known Karla Cano in a professional capacity since 2007, and am beyond excited to now be part of her pet-sitting team. Hello! My name is Marley. I have lived in the Elk Grove area for over 5 years now. When I was about 5 years old people would ask me, “Marley, what do you want to be when you grow up?” My answer would always be “I want to be a Dog Walker or an Ice Cream Woman!” Sixteen years later, here I am working for Karla, doing one of my favorite things in the world! Caring for pets. Pets have always been a HUGE part of my life! I have cared for all sorts of dogs in my home growing up (from Chihuahuas to Pit Bulls, to Great Danes.) Cats and fish as well, and even horses when I lived in the Sacramento Delta area. 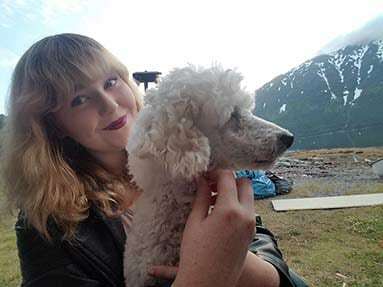 I could not imagine my life without my animals, that is why I believe it is so important to give our client’s pets the utmost care and compassion while their owners are away, just how I would want my pets to be cared for. While not pet sitting, I enjoy spending time with my family and doing activities such as sewing, thrifting, and videography. There are around 70 million homeless pets in America. Animal shelters and pet-rescue organizations nationwide are in constant need of pet food donations. 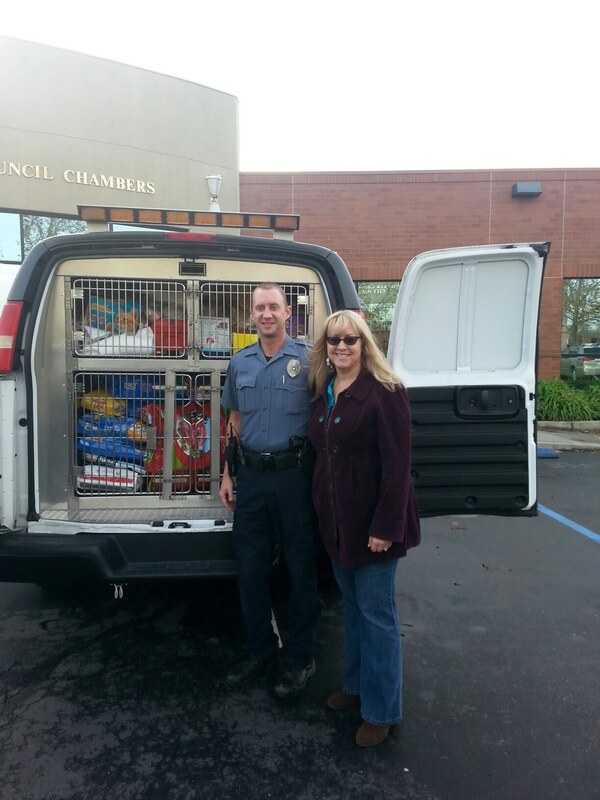 Elk Grove’s Animal Control Unit is no different and they are also in need of such donations; specifically for cat food, as the area’s feral and stray cat population continues to grow. 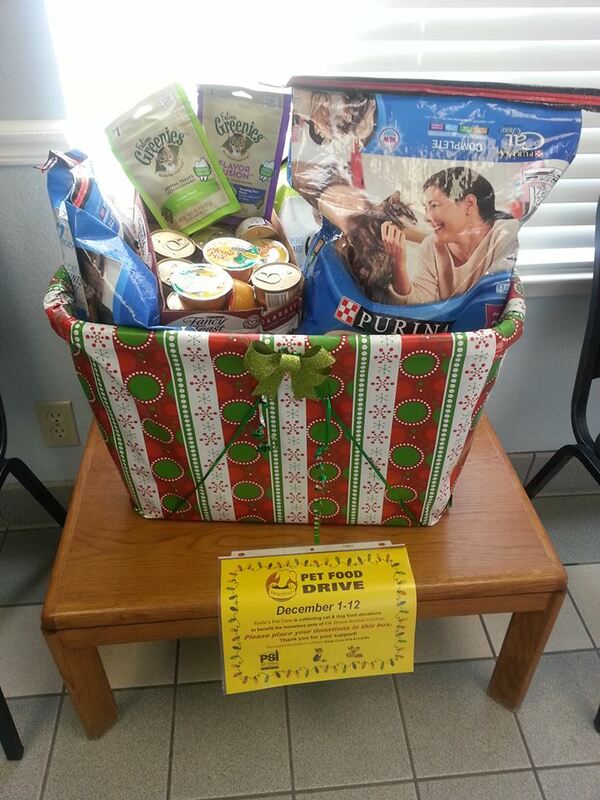 Donated pet food from the community helps the unit assist local feral cat colony caretakers. With the community’s contributions, the breadth of these rescue efforts can reach much further to help the animals in need. 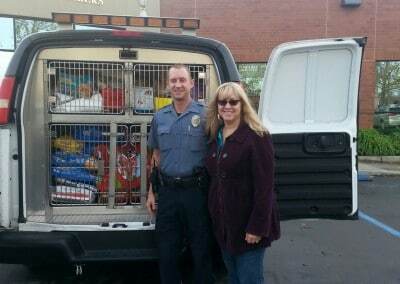 As a member of Pet Sitters International (PSI), the world’s largest educational association for professional pet sitters, Cano joined the annual effort that collects pet food for shelters each year. 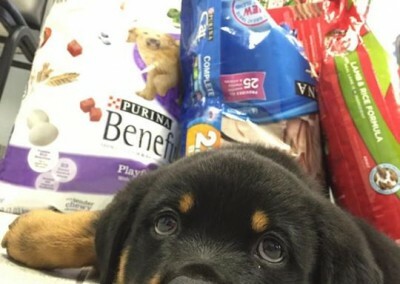 Karla Cano, owner of Karla’s Pet Care, LLC in Elk Grove, annually hosts the Hungry Bowl Pet Food Drive to benefit the Animal Control Unit’s need. 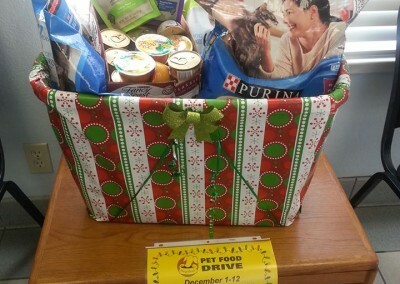 PSI members organize local pet food drives that benefit their communities’ animal shelters and pet-rescue organizations. 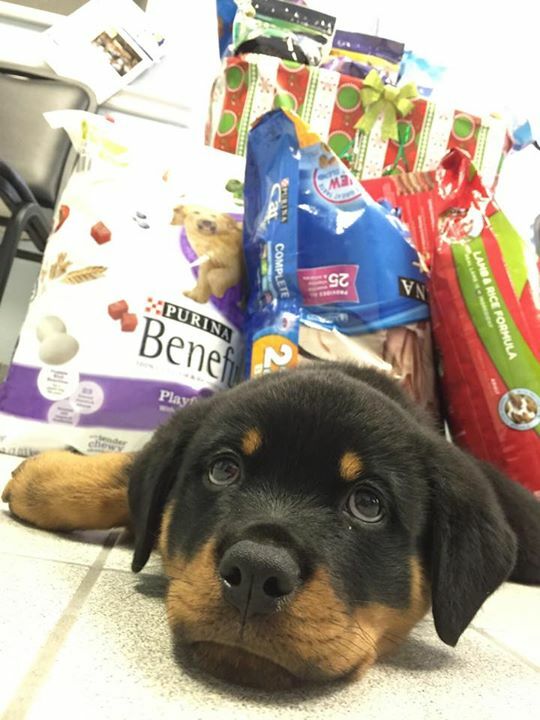 The Hungry Bowl Food Drive has succeeded in donating 1,700lbs of pet food, plus needed supplies since 2014. Thanks to everyone who has made these donations possible!